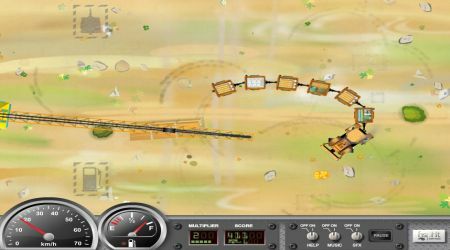 Steer your bulldozer using the left and right arrow keys. Slow down or stop using the down arrow key. 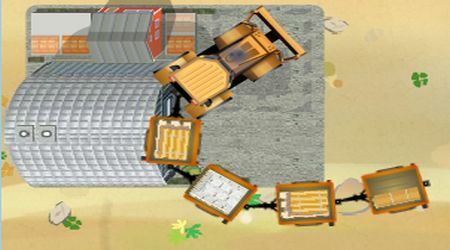 Collect each cargo as they drop from the crane. You can also collect other bonus items lying around. Once you think you have collected enough cargoes, stop on the warehouse spot to deliver them. You can also stop on the gas spot to refuel.